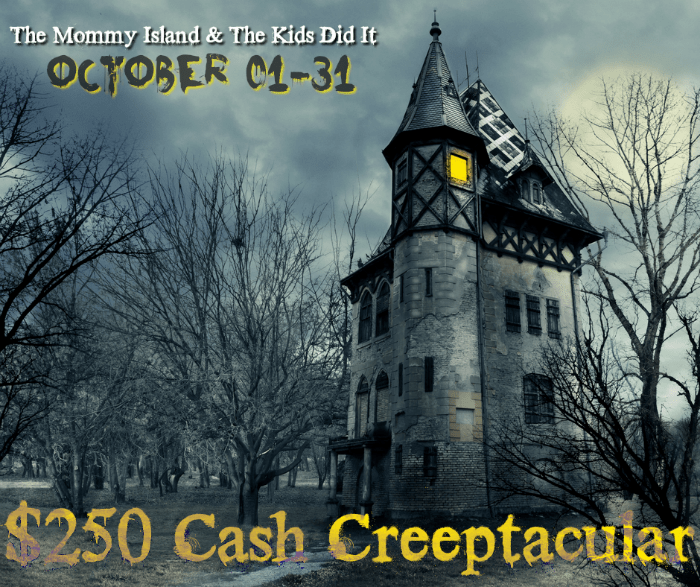 The Kids Did It & The Mommy Island’s $250 Creeptacular Cash Event 18+, WW – Ends 10/31 – Win! Win! Win! Halloween has always been a fun time in our house. I love it and dress up as a witch yearly. What’s your go to disguise? Or do you go for more trendy costume? Let me know in the comments please. This giveaway is hosted by The Kids Did It and The Mommy Island. We have done many giveaways with them now. We truly appreciate their efforts. They can answer questions about the prize. Win! Win! Win! is only helping promote this giveaway. Thanks for participating and good luck!